Pancreatic cancer can spread quickly and, unfortunately, early detection is not all that common. When you are diagnosed with this condition, it is therefore essential that treatment begins as quickly as possible. Screening is not an effective way of detecting pancreatic cancer, so patients with a family history of the disease should inform Dr. Yamini so suitable measures for improving outcomes can be taken as part of your consultation and treatment plan. If you have been diagnosed with pancreatic cancer, Dr. Yamini can provide treatment to remove cancerous tumors. Surgery can be an effective treatment option for pancreatic cancer depending on the location and size of the tumors. However, there is a high rate of reoccurring tumors with pancreatic cancer. Surgery may involve removing tumors from the pancreatic head or tail or removing the pancreas completely. In some cases, pancreatic cancer may also impact on nearby blood vessels. In all cases, surgeries are complex. The following list of symptoms includes the most common signs of pancreatic cancer. However, if you suffer any sort adverse health signs that could indicate cancer, it is essential that you do not delay in consulting with a relevant specialist such as Dr. David Yamini. The sooner cancers are detected, the more chance there is that treatment will work, ensuring a longer and healthier life in many cases. These signs should never be ignored. Reach out to the offices of Dr. Yamini today if you suspect that you are suffering from pancreatic cancer. 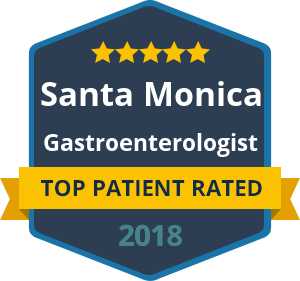 Potentially effective treatment options are available to you in Beverly Hills and Santa Monica, California.